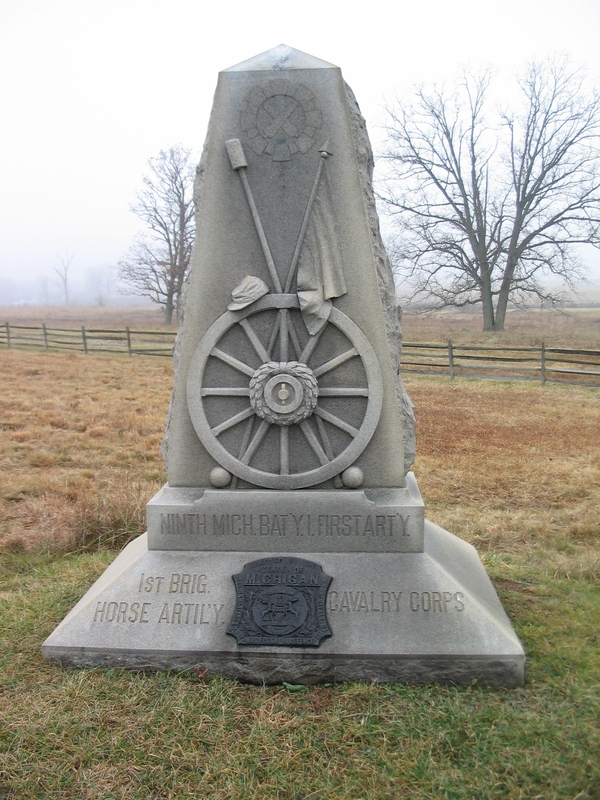 Additional Description: The battery monument carries a lot of symbolism on the front. A rammer is crossed with a battery guide-on, over an artillery wheel. Cannon balls hold the wheel in place. A kepi is placed atop the wheel. At the very top of the monument is a flash with crossed cannons. Submitted: February 28, 2009, by Craig Swain of Leesburg, Virginia.